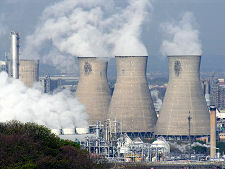 The origins of the story of Grangemouth revolve around a canal and a far-sighted businessman. 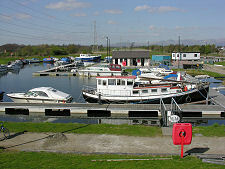 Sir Lawrence Dundas purchased estates in this area in 1752, and when the Forth and Clyde Canal was being planned in the 1760s he was able to persuade the canal company that its eastern terminus should be where the Grange Burn flowed into the River Carron, close to where the latter in turn flowed into the River Forth. The original plan had been for the canal to emerge on the Forth at the already established port of Bo'ness, a few miles further east. For his part, Dundas agreed to build a new port at the eastern terminus of the canal, to allow trans-shipment of goods between sea-going and canal-going vessels. 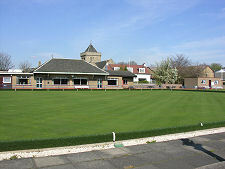 What quickly emerged was the Old Town of Grangemouth, clustered around the terminus of the canal. 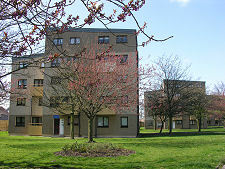 If you were to name the town today, you'd probably go for "Carronmouth", but as the initial focus of the settlement was at the mouth of the Grange Burn, it became known as Grangemouth. 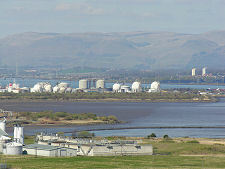 Grangemouth rapidly flourished, steadily displacing Bo'ness as the most significant port on this stretch of the Rover Forth. 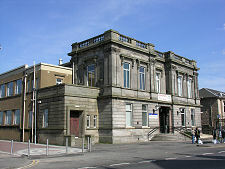 A visitor in 1826 commented on it as "a place of considerable importance; and besides a commodious harbour has a dry-dock, a rope-work, a custom-house, and spacious warehouses for goods. Vessels bring into this port timber and hemp, deals, flax, and iron from the Baltic... besides grains from foreign parts and from the coasts of Scotland and England... 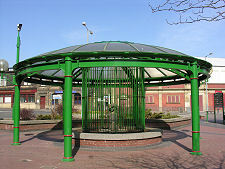 The numerous vessels belonging to the Carron Iron Company usually bring home return cargoes of groceries, dye-stuffs, etc for the supply of Glasgow, Stirling and other towns in the West of Scotland." 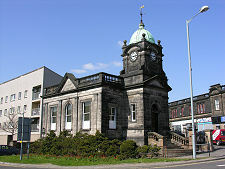 Further port expansion followed through the 1860s, and in 1867 the Caledonian Railway purchased the canal, the rail link to Grangemouth, and the port itself. They then proceeded to expand it significantly, with the construction of a series of new docks, which by 1897 were being built on reclaimed land extending northwards out into the River Forth. Today, Grangemouth is Scotland's largest port, handling some 9 million tonnes of cargo each year (amounting to some 30% of Scotland's gross domestic product), including 150,000 containers. 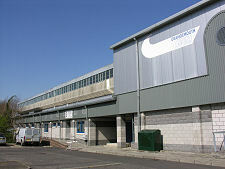 Its operators, Forth Ports, continue to invest in new facilities to keep it up to date and competitive. Oddly, though, for the visitor, the port activities are all but invisible. Until a decade or two ago it was possible to drive the length of the docks to their entrance, overlooking the mouth of the River Carron. In today's more security-conscious world anyone turning up at the main gate with a camera asking to take photographs is politely asked to leave. 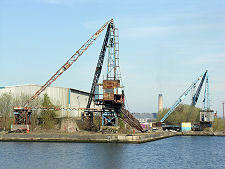 But the main reason for the docks' invisibility is a more recent arrival on the industrial scene in Grangemouth, the oil refinery and chemical works that today dominate the town and the landscape for miles around, effectively hiding the harbour behind a vast forest of cooling towers, flare stacks and other items of stainless steel industrial architecture. The oil industry first gained a foothold in Grangemouth with the arrival of the Anglo Persian Oil Company (later to become BP) in 1910. 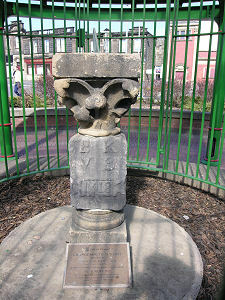 Initially the middle eastern oil landed here was piped to Uphall in West Lothian, to the refinery built for the area's long-established oil shale industry. 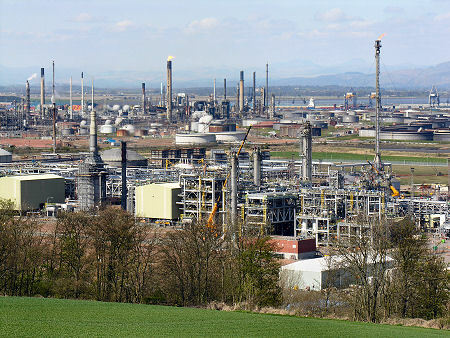 But in 1924 a refinery was established on land near Grangemouth, and over the following years the refinery and associated industry grew steadily. 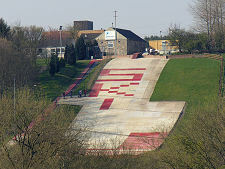 But by 1939 it still covered a very much smaller area than it does today. 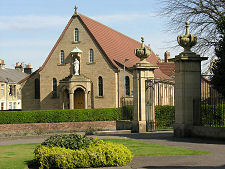 In part this was because some of the post-war development has been on land reclaimed from the River Forth. 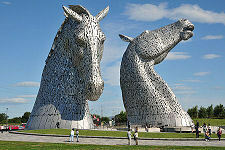 And in part it was because 550 acres of the area was set aside for the Central Scotland Airport. The first passenger flight took place from the airport on 16 April 1939, with Royal Air Force Volunteer Reserve training beginning on 1 May 1939. The airport was formally opened by Lord Trenchard on 1 July 1939, but commercial services ceased on the outbreak of war in September. 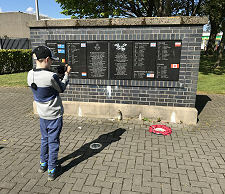 What became RAF Grangemouth was first used as a fighter airfield, and then for training pilots, many learning to fly the Spitfire here until training ceased in 1944. In July 1939 the airport comprised two very large hangars flanking a fine terminal building. There were concrete parking areas for aircraft, but the airfield itself was entirely of grass. The war saw more hangars being built, and two concrete runways were laid in 1942. 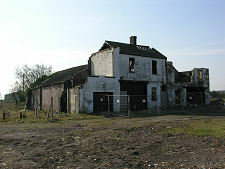 After the war, commercial air services did not return and there was a debate about the future use of the site in an area that needed land for housing, leisure and industry. The terminal building was destroyed in a fire in 1952 and the airport was officially closed in June 1955. 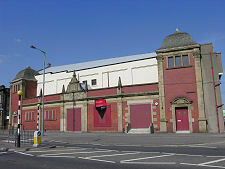 The two pre-war hangars still stand and have been put to industrial use, while the shorter runway became Inchyra Road. Other buildings and the main runway disappeared altogether. 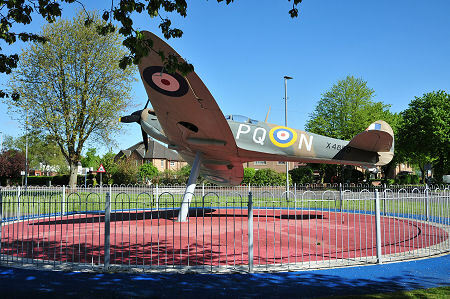 In May 2013 a replica Spitfire was mounted nearby as part of a garden of memorial to those who died while flying from Grangemouth during the war. 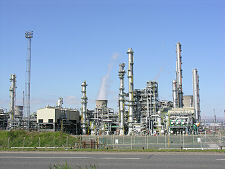 The eastern part of the old airfield was subsequently built over by the expanding petrochemical industry. Much of the oil that feeds Grangemouth's refineries today is landed on the west coast near Garelochhead and brought here by pipeline. This all probably makes Grangemouth sound a very unattractive place, and it has to be admitted that even its best friends would stop short of describing the town as "pretty". 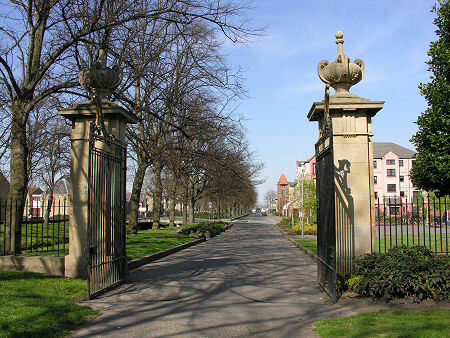 But there are pleasant finds to be made, not least the large Zetland Park in the heart of the town, and a surprising range of housing, from utility to luxury in each era of the town's development. 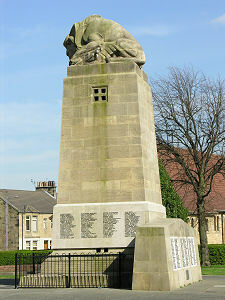 In front of the main entrance to Zetland Park is the town's war memorial, unveiled in 1919. 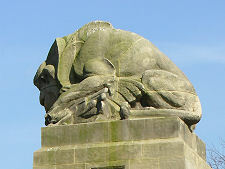 Designed by Sir John Burnet this surprised everyone, including those who thought they were managing its design and funding, by being topped by a huge statue of the British Lion with its teeth firmly embedded in the German Eagle. 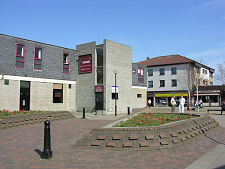 Today's town centre focuses on a series of public buildings dating back to the late 1800s within the area of the "New Town" built by the Dundas family in the 1860s. 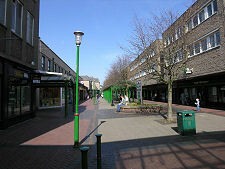 To these have been added the La Porte Shopping Centre which, by the standards of Scottish open-air precinct shopping centres of the 1970s, is actually quite pleasant. On the edge of the town is the excellent Grange Manor Hotel. 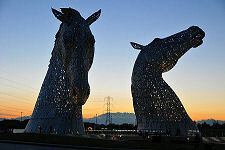 Nearby is the Helix, a 350 hectare public open space, with at its heart the Kelpies, the largest equine artworks in the world. 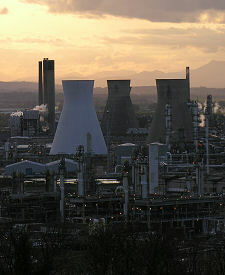 Perhaps the saddest thing about Grangemouth is something that has now completely disappeared. 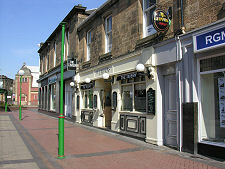 In the early 1900s a visitor to Grangemouth wrote: "The Old Town is the more picturesque part of the port. It is married to the water like a second Venice, but a Venice of the north, with quaint grey stone buildings jostling with wharves, boatslips, workshops, inns with a nautical flavour, warehouses and timber basins. It is a crowded place, but has enchanting vistas down old-fashioned streets and lanes, abutting in waterways where sea-fowl float and disturb the placid reflections of the wealthy merchants of the last century, houses whose nobly proportioned rooms have long since been converted to other purposes." 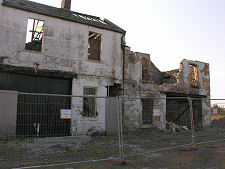 It is scarcely believable, but by April 2007 the Old Town, in its entirety, had disappeared save for one small and very derelict group of buildings, shown on this page: and even this was subsequently demolished. 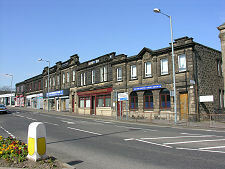 The Old Town was swept away in much the same spirit that led to the filling-in of the last mile or so of the Forth and Clyde Canal into the town after the canal closed in 1963. That has since been put right. When the canal was restored as part of the Millennium Link Project, this lack of an eastern end was overcome by a diversion which took the canal to a new sea loch on the River Carron to the west of the town. Sadly there is no such easy remedy available to overcome the truly monumental short-sightedness of those responsible for utterly destroying Grangemouth's Old Town, its "Venice of the north".